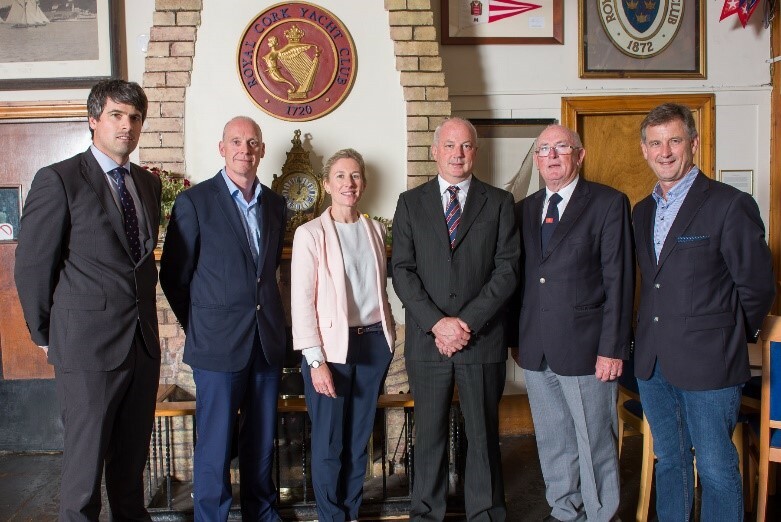 The official launch of Cork Dinghy Fest took place in the Royal Cork Yacht Club on Thursday 1st June, with representatives from event sponsors, CH Marine, Zhik and the Port of Cork all present. Chairman for the event Nicholas O’Leary was accompanied by Royal Cork Yacht Club Vice Admiral Pat Farnan and Rear Admiral for Dinghies Stephen O’Shaughnessy. 2017 is gearing up to be a great event and it was great to have such support from our sponsors this year, the future is looking very bright for Cork Dinghy Fest, now the largest standalone dinghy festival event in the country. Returning to Cork Dinghy Fest are the ever strong and growing RS fleet of RS 400’s, 200’s and Feva’s. The feature event this year is the RS 200 National Championships and Euro Cup, and having seen a surge in popularity in Cork this winter, over 30 boats are expected in the RS 200 fleet alone. Also return is the 420 class, they will be deciding their national champion again during Cork Dinghy Fest. While the National 18-foot class will be holding their National Championships. Event Chairman, Nicholas O’Leary, Paul O’Regan, Harbour Master Port of Cork, Sarah McKeown, Port of Cork, Rear Admiral Dinghies Royal Cork, Stephen O’Shaughnessy, Vice Admiral Royal Cork, Pat Farnan & Nick Bendon, CH Marine. Online entry is now open and you will also find all the information you need like Notice of Race and info on accommodation and other aspects of the event on the event website at www.corkdinghyfest.ie.